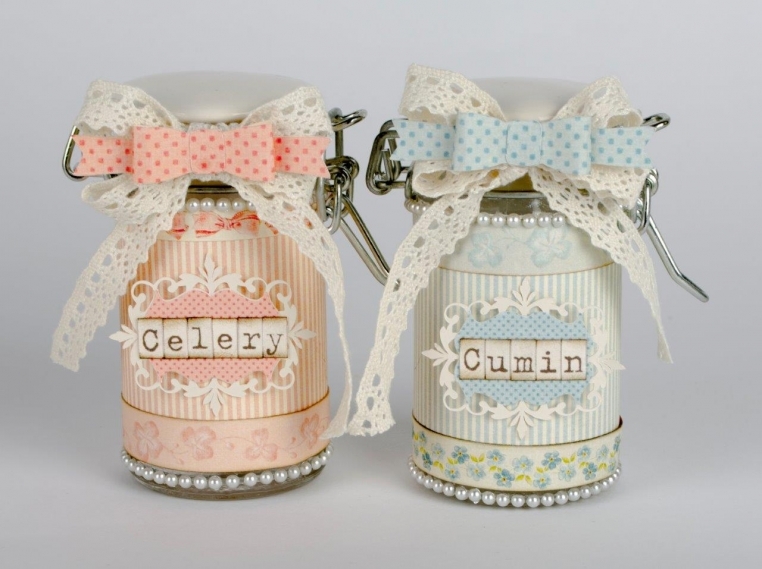 This seasoning set was made with the papers and borders from the gorgeous new blue and pink Sweet Baby collection along with yellow from For Mother and lettering from Studio of Memories. Here are some closer pictures which better show these beautiful papers, borders and lettering. 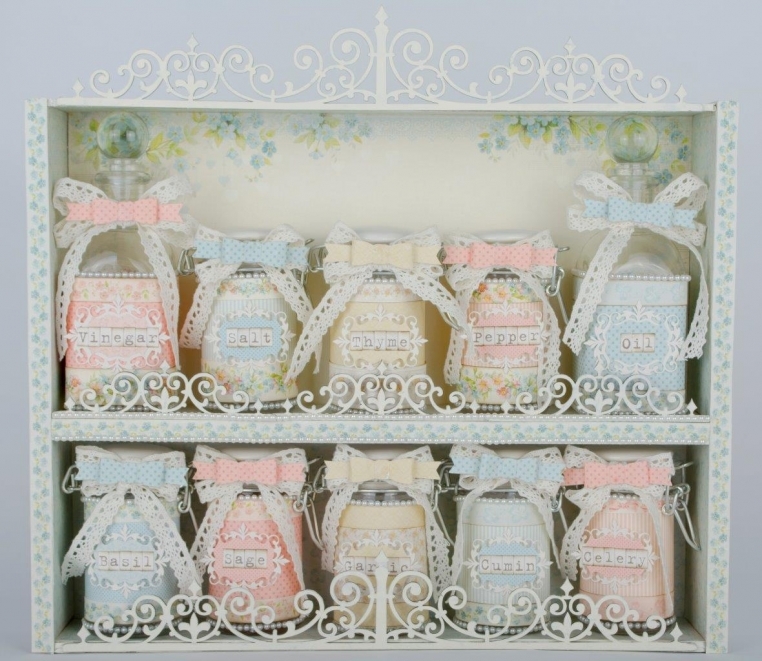 The lovely, gentle pastel colors and designs of Sweet Baby are not just for baby projects. Instructions for making this seasoning set can be found on my blog. Have a wonderful day! I sure appreciate the instructions on your blog!